As part of our mission to reach all Tufts students, and to make community engagement and civic life a central part of a Tufts education at every school, Tisch College supports service learning initiatives at the Tufts schools of medicine, dental medicine, and veterinary medicine. 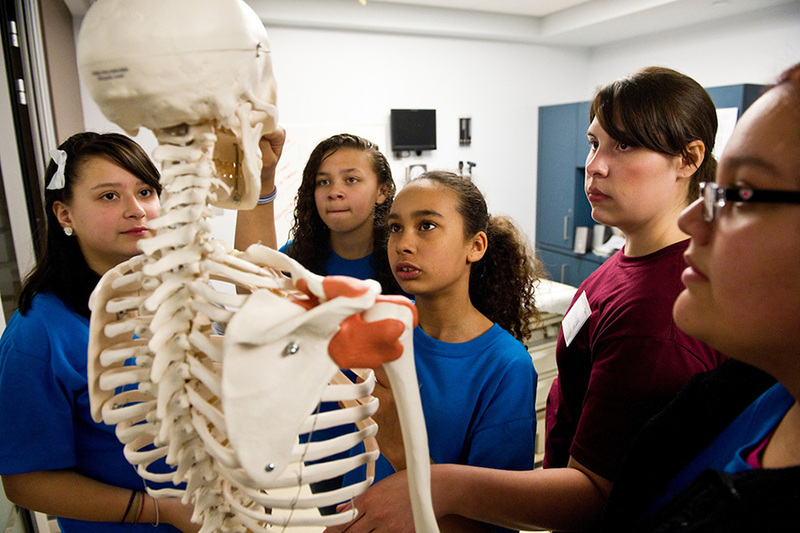 While the scope of these efforts varies in order to fit and complement each school’s academic programs, all pursue a vital mission: to provide transformational learning experiences in which future health professionals can practice what they learn in the classroom, the clinic, and the laboratory—enhancing their learning while allowing them to make a difference on issues of public health, education, community development, and more. Tisch College supports, guides, and strengthens the service learning programs at each school in various ways. We connect students and faculty to local organizations and government agencies, facilitating mutually beneficial service and research partnerships. We advise each school on best practices for effective and ethical community engagement. And we support community service learning coordinators who spearhead each school’s programming and work closely with both students and community members to ensure successful outcomes. The Tisch College and Tufts University School of Medicine Community Service Learning Program is one of the most robust community engagement programs in American medical education, and has helped make TUSM a top choice for students who want civic engagement to be a central part of their preparation as health professionals. All Tufts medical students must complete at least 50 hours of service before graduation at established initiatives like The Sharewood Project, IDEAS in Medicine, and the Health Impact Partnership—or at self-created service projects. 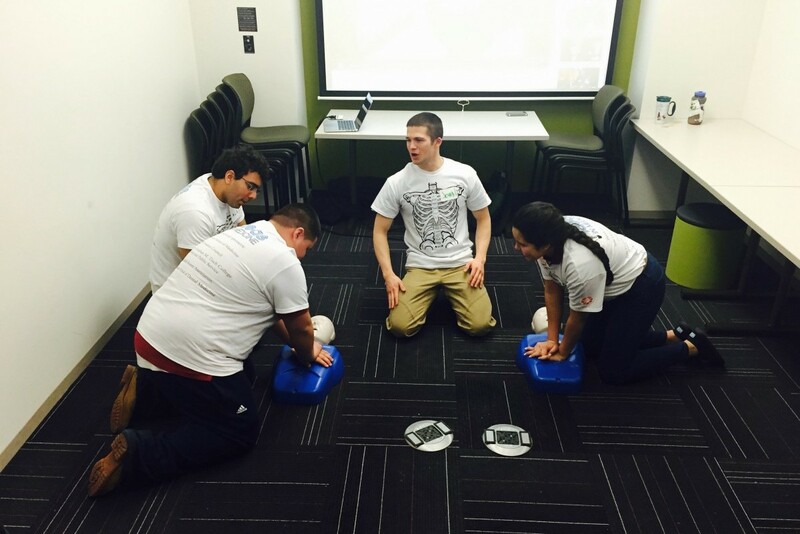 Students enhance their clinical, professional, and civic skills while contributing to local communities. Learn more on the Tufts University School of Medicine’s website or contact TUSM’s community service learning coordinator Jennifer Greer-Morrissey at jennifer.greer_morrissey@tufts.edu. Tufts’ dental school has an outstanding record of service and civic engagement, both in its host community of Boston’s Chinatown and through ongoing international initiatives in countries like the Dominican Republic, Haiti, and Zambia. Tufts dental students are also well-known for their leadership in regional and national dental student associations, amplifying their voice as advocates on important issues in public health and education and playing a vital role in meeting the civic responsibilities of their profession. Dental Central serves as a hub for these another service and leadership activities at TUSDM. Led by an advisory board of students, faculty, and staff, and supported by Tisch College, this online portal hosts information on volunteer opportunities, partner organizations, events, and other ways for dental students to contribute to civic life. Learn more at Dental Central or contact TUSDM’s community service learning coordinator Nancy Marks at nancy.marks@tufts.edu. Students at Tufts’ veterinary school have the unique opportunity to contribute to public life by improving the welfare of both people and animals. Programs like Paws for People, the Pet Loss Support Hotline, and the Tufts at Tech Community Veterinary Clinic at Worcester Technical High School—which got a shout-out from President Obama in 2014—allow Cummings students to engage in a wide variety of activities that combine their academic and clinical interests with positive community outcomes. Learn more on the Cummings School website or contact civic life coordinator Erin King at erin.king@tufts.edu. John Armstrong, a student at the Tufts School of Medicine, shares how his community service learning experience is shaping his medical education.